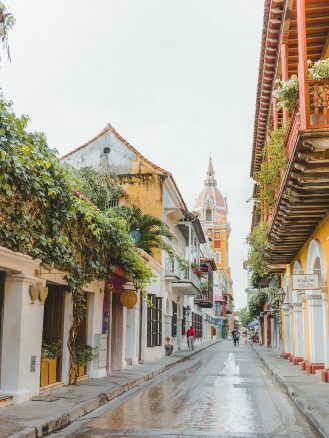 Driving into the old, walled city of Cartagena, you feel a wave of humidity, romance and history wash over you. 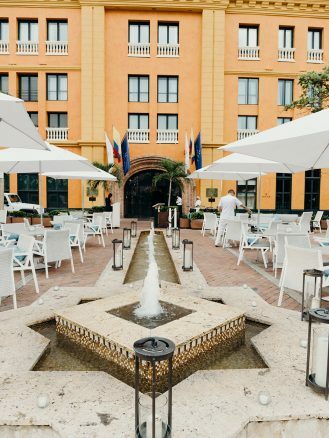 Here, you rest easy, stroll down cobblestone streets, and shop everything from high-end to handcrafted. 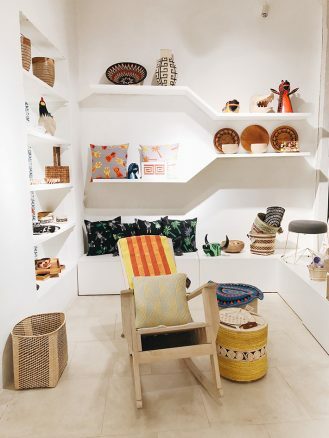 Ana Fritsch of Lucky Penny explores the Colombian port city. When deciding where to stay, the harder choice is where not to stay. 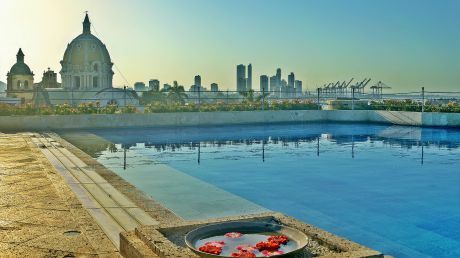 Cartagena is full of charming converted colonial mansions and historic landmarks where you can lay your head each night. 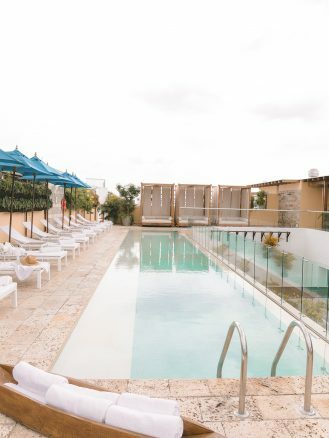 If you’re looking for a glamorous yet traditional experience, there’s Hotel Charleston Santa Teresa. Home to the hotel’s main restaurant, Harry’s Bar, the grand foyer is draped in ivy and a decorated marble floor which showcases an iron-wrought spiral staircase—it left me speechless. 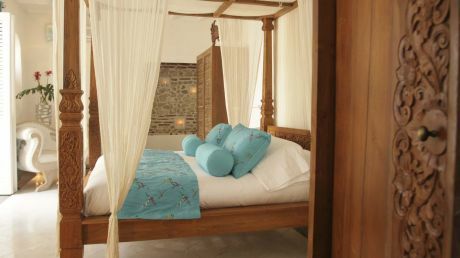 There’s also the more intimate Tcherassi Hotel + Spa. 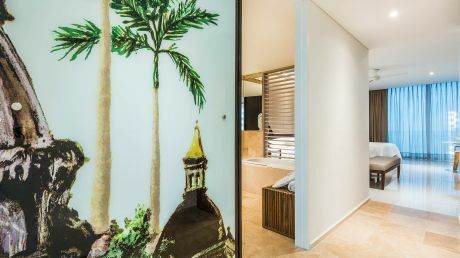 Founded by Colombian designer Silvia Tcherassi, the hotel is tastefully and minimally decorated. 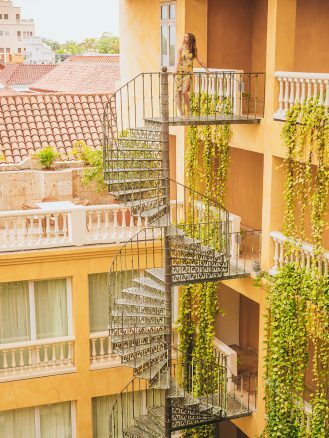 I’d start the morning admiring the lobby’s hanging garden and grabbing coffee and pastry at Cafe Tcherassi, then making my way to the rooftop pool for some R&R. Cartagena has something for every type of traveler. Looking for a day at the beach? 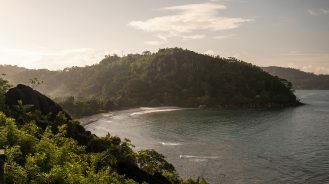 Take a full day outing to the Rosario Islands for crystal clear waters and fresh seafood. Looking to bring home the perfect souvenir? Look no further than Las Bóvedas, Cartagena’s most popular market. But if you’re in the market for high-end designer clothes, St. Dom, Casa Chique and Mercedes Salazar cannot be missed. If you just want to immerse yourself in the culture, wake up early to beat the heat and hit the cobblestone streets running—that’s what I did. 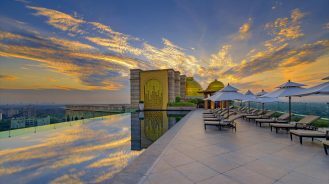 There is no shortage of pastel-hued colonial facades and Instagram worthy scenery to photograph. 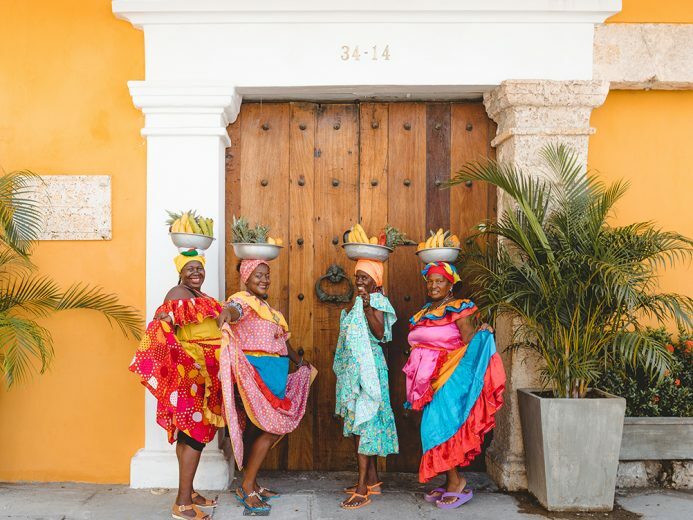 Don’t miss the opportunity to take a photo with the famous Palenqueras or “Fruit Ladies” of Cartagena. If you think ceviche is the only dish Cartagena is serving up, think again. 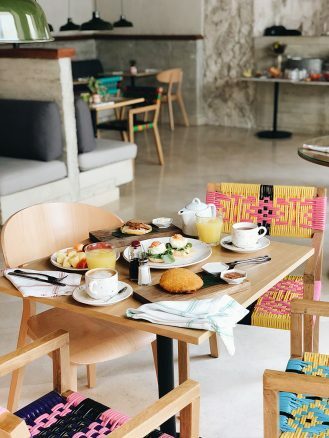 I recommend starting the morning at Epoca Espresso for a latte and quick bites. 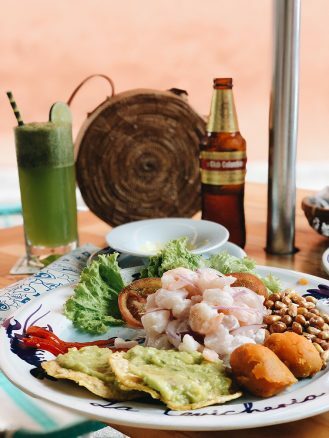 La Cevicheria and La Mulata are delicious and will hold you over until dinner. Cool off with a craft cocktail at Absenta before dinner. Then, enjoy pizza with a live show when you sit outside at Juan Del Mar. 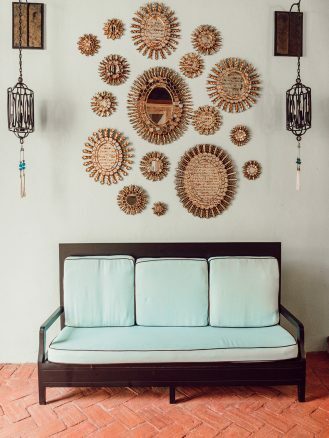 Or head to Maria, the sister restaurant to the popular Don Juan, to dine under pineapple chandeliers and feast on five-star seafood.